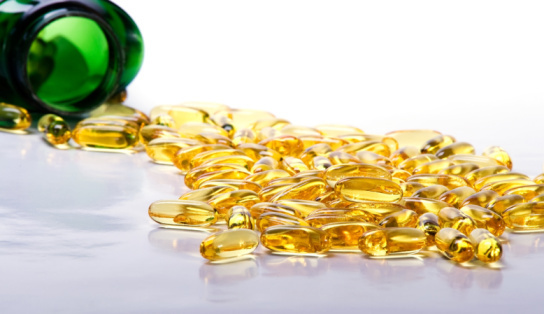 Does Fish Oil Really Boost Prostate Cancer? So I did what a good scientist and medical person should do. I kept an open mind, but examined the study itself–who conducted it, how it was conducted, and what conclusions were drawn based on hard evidence. After all, a study’s conclusion is only as good as the study itself. The pedigree of the study source is impressive. It was published in the Journal of the National Cancer Institute and was conducted by researchers from the Fred Hutchinson Cancer Center in Seattle, WA. Unfortunately, the data used was from the Selenium and Vitamin E Cancer Prevention Trial (“the select study”), a study that has been widely maligned for its wrongheaded use of synthetic vitamin E in doses that were too large. To reach their conclusion about fish oil, the researchers measured the levels of fats in the blood of the SELECT study participants, and concluded that men with the highest concentrations of EPA, DPA, and DHA–three fatty acids derived from fish and fish-oil supplements–had an increased risk of prostate cancer. Specifically, they reported a 71 percent increased risk of high-grade prostate cancer; a 44 percent increase in the risk of low-grade prostate cancer; and an overall 43 percent increase in risk for total prostate cancer in a subset of patients with the highest level of these omega-3 fatty acids. Yet, the actual percentages of the omega-3 fatty acids were low in both groups. None of the participants in the SELECT study actually had high levels of omega 3 fatty acids. Overall, the noncancer patients had a value of omega-3 fats of 3.62 percent, while the level was 3.66 percent in the cancer group. For a more detailed discussion on the data and why the study’s conclusions are misleading, see my article here. In addition to population-based studies, there are several highly regarded studies that were specifically designed to determine the effects of fish and fish oil consumption in prostate cancer. In a detailed meta-analysis conducted in 2010, while fish consumption did not affect prostate cancer incidence, it was associated with a 63% reduced mortality due to prostate cancer. A meta-analysis examines all previously conducted studies. Data from the Physician’s Health Study, a study spanning 22 years, found that fish consumption (≥5 times per week) reduced the risk of dying from prostate cancer by 36 percent — specific death. When ascertaining the benefits of fish consumption, it is important to find out how the fish is being prepared. For example, one study found that regular ingestion of fried fish was associated with a 32 percent increased risk for prostate cancer. In addition, many studies do not control for the quality of fish or fish oil. Some fish (and fish oil supplements) can contain environmental chemicals that can contribute to prostate cancer such as PCBs, heavy metals, and other toxic chemicals. The best thing about the flawed study is that it will stimulate more research into the role of omega-3 fatty acids in prostate health. The worst thing about this study is that it may lead to many men abandoning the use of fish oil supplements. Based upon a large amount of clinical data, it makes sense for men to be consuming 1,000 mg of EPA+DHA daily for general health. And, if they are suffering from one of the over 60 different health conditions shown to be benefitted by fish oil supplementation, the dosage should be increased to 3,000 mg of EPA+DHA daily.